Third molars, commonly called wisdom teeth, are functional teeth, but they are also likely to cause trouble when they erupt. Wisdom teeth are the last molars to come in; they usually make their debut when people are between 17 and 21 years of age. By the time they are ready to erupt, there is little room left in the oral cavity. Crowded by other teeth, wisdom teeth often erupt only partially or come in sideways. They may also become impacted or trapped inside the jaw, which can lead to pain, infection, and swelling. When wisdom teeth are impacted, extractions are often necessary. Wisdom tooth removal is a common surgical procedure, but it is more complicated than a typical tooth extraction, and is often performed by an oral surgeon. You may be sedated or given general anesthesia. Risks associated with the surgery include pain, swelling, bleeding, sinus problems, and nerve damage. Recovery from surgery usually takes about a week, but the incision area may take a month to heal completely. If damage to your jaw occurs during surgery, full recovery may take as long as six months. Proper care after surgery can help prevent complications. During the first 24 hours, you can expect some bleeding. Placing clean, moist gauze or a teabag over the incision area and applying biting pressure for about 45 minutes should stop it. If it continues, call your dentist or oral surgeon. Ice can help relieve swelling for the first 24 hours. Apply ice for 10 minutes and then leave it off for 20 minutes. Repeat the steps as needed for the first day following surgery. Your dentist or oral surgeon may prescribe medication for pain or antibiotics to treat or prevent infection. Avoid rinsing your mouth for 24 hours after your extraction. After the first day, rinse the socket with warm, salty water after each meal and before bed. Don’t chew with the teeth near the extraction site. Avoid drinking from a straw. Costs for wisdom teeth extractions vary depending on the complexity of the procedure, your dentist’s experience and location, and your dental insurance. 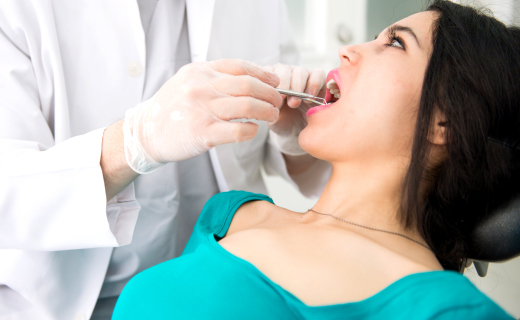 Look for a skilled, affordable dentist in Bradenton to extract your wisdom teeth or get several quotes to compare fees before scheduling the procedure.